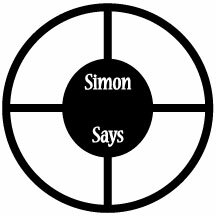 Simon Says is another classic game that can be slightly altered to incorporate sight words. This game is great because it reinforces sight words using a fun game that keeps children moving. It can be played in a classroom or at home with a few children. This game can be played a number of ways. Using index cards and yarn make sight word necklaces for each child playing the game. If you are short on time use self-adhesive name tags. You can play with many sight words or limit the game to include just a few ones (ideal for children just beginning to learn sight words). You can randomly select sight words or create a simon says spinner. All you need is paper and a paper fastener. Select a template below and put a hole in the middle. Cut out an arrow and fasten to the template using the paper fastener. Prior to playing the game, review each sight word. Gather the children into a circle and make sure each child has a sight word necklace or name tag. 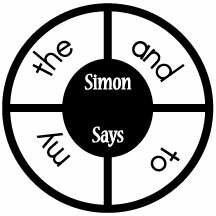 Explain the rules: They should only obey your commands if you first say the words “simon says” and they have that sight word (via necklace or name tag). 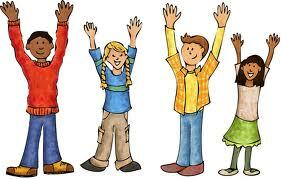 If they follow an order that did not begin with “simon says” or they did not have that sight word, they are out. For example, you say, “Simon says sight word the touch your toes. Simon says sight word and hop on one foot. Stop.” You can also select sight words using the spinner. This game can be played a number of ways; create the game play so that every child benefits and learns to recognize sight words automatically. For more game ideas, visit our sight word games section.